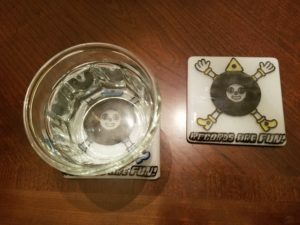 Show everyone you drink with how much you love records with these adorable hand-made fused-glass coasters! Raffie’s got a blue hat, and Foppie’s got a triangular yellow hat. 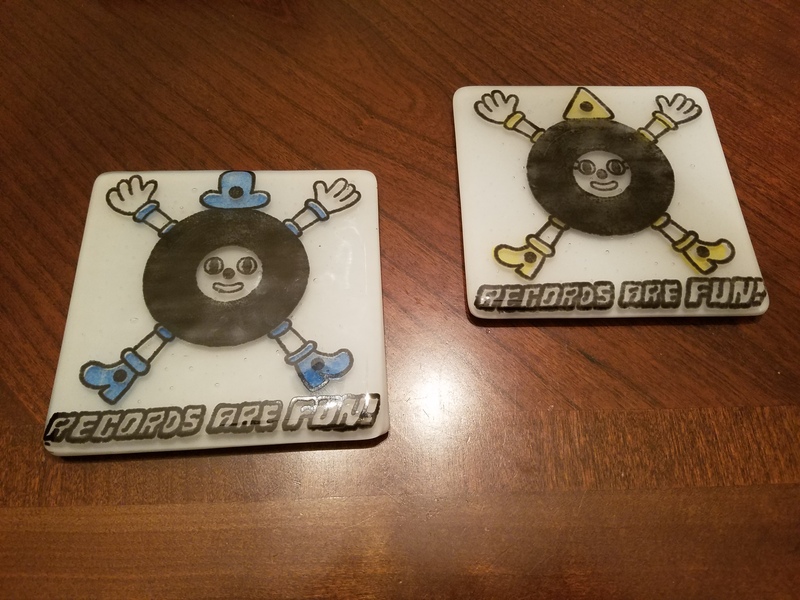 Both want you to know that Records Are Fun!